Delicious dishes on your table to serve to your guests. Tks Karla again ! every one of your books I want to download, gonna have to get those extra memory discs to hold em all. Which now that I said that is a good idea! I have some I could use. Your very welcome and NO it doesn't cost to publish because you are designing them up for JAP to sell. But if your a paid member to the club you can download the ones you want for free and if you want a hard copy than you have to pay the purchasing price for each book and the will mail it to you. I have a question. Does it cost to publish and can you still add recipes once you do? 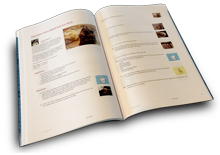 Thanks so much for including me in your cookbooks! Kim , its company worthy for sure and it had to be in there ! !